Go Red for Women’s Heart Health – today is #NationalWearRedDay! Last Friday, I learned I will serve on six committees in the state Senate. I was delighted to learn I will serve on the Senate Appropriations Committee, which determines the fiscal impact of all bills and plays a key role in crafting the final state budget. 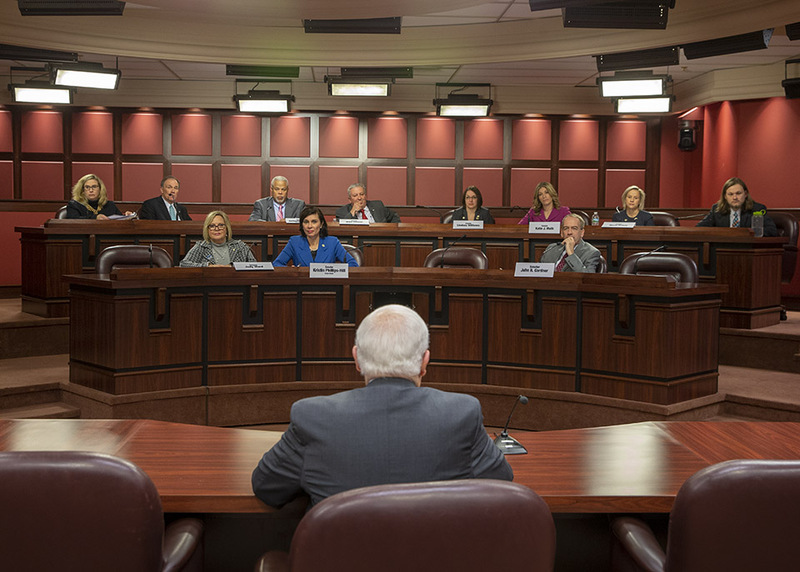 The Senate Appropriations Committee will thoroughly vet the state budget proposal offered by Governor Wolf. Next week, Governor Wolf will unveil his budget proposal before a joint session of the Senate and House. If you are interested in seeing what the governor proposes, please tune in on my website on Tuesday, February 5. In addition to the Senate Appropriations Committee, I will serve as the Vice Chair of the Senate State Government Committee, chaired by Senator Mike Folmer. I will serve as a member on the following committees: Senate Aging and Youth Committee, the Senate Banking and Insurance Committee, the Senate Communications and Technology Committee and the Senate Intergovernmental Operations Committee. Read more about my committee assignments here. 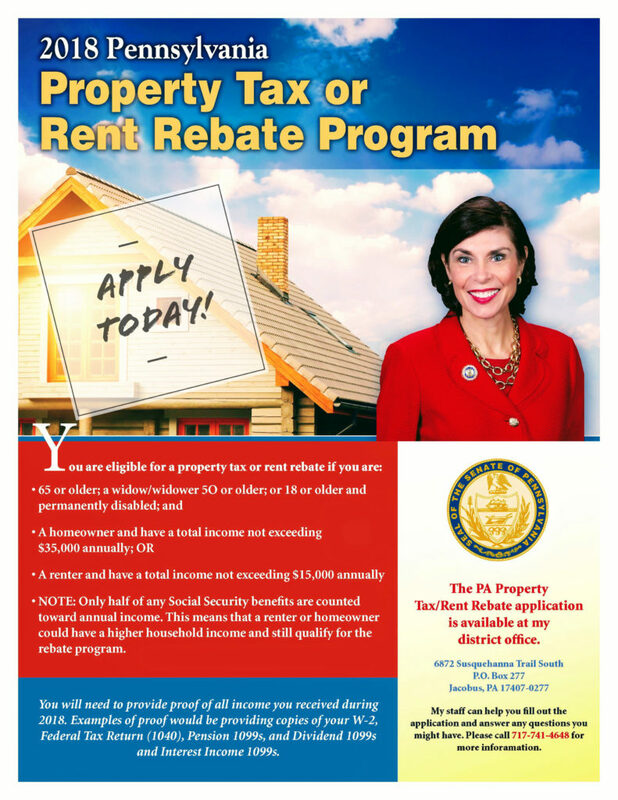 Eligible seniors and disabled veterans can now pick up applications for the state’s Property Tax/Rent Rebate program at my office at 6872 Susquehanna Trail South, York, or by calling 717-741-4648 between 9 a.m. and 4:30 p.m.
More information, including additional guidelines, can be found here. 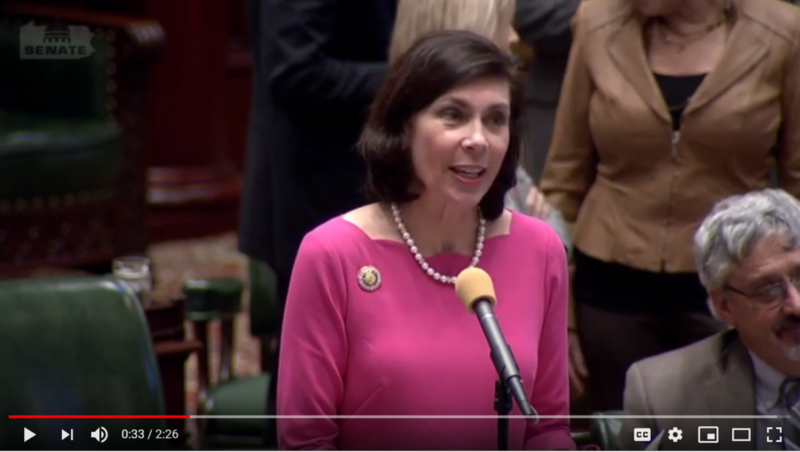 On Wednesday, I supported a measure during a Senate Appropriations Committee meeting that would ban state employees, including lawmakers, from collecting a state pension if found guilty of a job-related felony offense. The bill is sponsored by Senator John DiSanto, who introduced the bill after former Senator Robert Mellow was allowed to keep his $245,000 a year pension despite serving time in jail following a guilty plea on federal conspiracy charges. Read more about this important reform here. Listen to my comments about the need for this legislation here. As a state representative, I led the effort with the Pennsylvania Bar Association and the Military Spouse J.D. 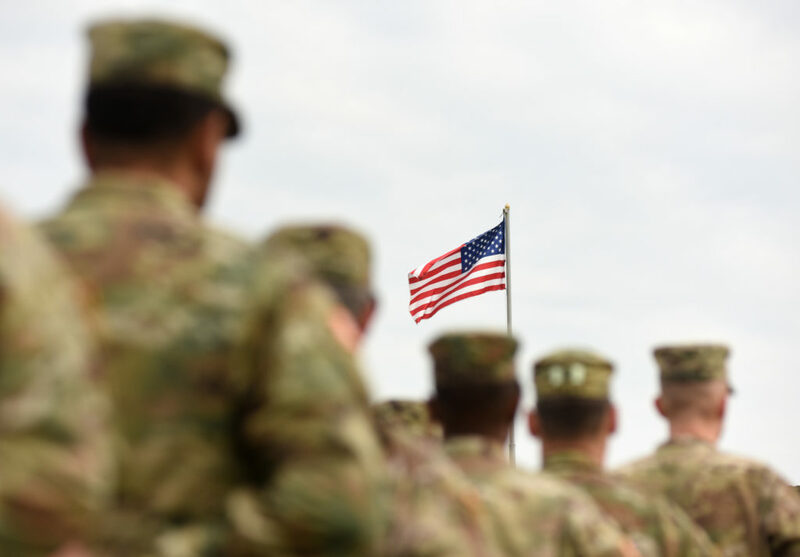 Network to create a new model rule that would help military spouses apply to practice law in Pennsylvania on a limited basis. While in the House of Representatives, I sponsored a resolution encouraging the Supreme Court to adopt rules that recognize the specific challenges facing military spouses who are attorneys. Earlier this week, the Pennsylvania Supreme Court’s Board of Law Examiners adopted a new rule that removes certain barriers that prevent military spouses who are attorneys from practicing law in Pennsylvania. Military spouses are already forced to make numerous sacrifices to honor their loved one’s military service. They shouldn’t have to give up on careers that they spent many years and many thousands of dollars to earn. The new rule takes effect in six months. You can learn more about this new rule here, and you can listen to my comments about what it means for military families here. 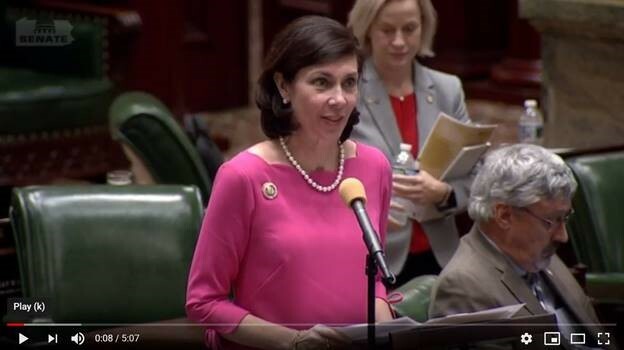 On Monday, I called on the Senate of Pennsylvania to take action on a package of bills I’ve sponsored to address ongoing concerns with data privacy and protection in state government and public schools. A major overhaul of the state’s IT systems with Senator Ryan Aument (R-Lancaster). Our bill would consolidate the administration and management of the state’s information technology under the Office of Information Technology. Require state guidelines to alert Pennsylvanians in the event of a data breach within state government. The proposal would also require annual data security reviews of state agencies, the legislature and state courts. Establish the Student Data Privacy Act. The proposal would define what student data is protected, who is responsible for the data and procedures in the event of a data breach. It would also require the Pennsylvania Department of Education to create the role of the Chief Data Privacy Officer to ensure student data is protected throughout the Commonwealth. You can watch my comments I delivered in the Senate Chamber here. Listen to my speech here. 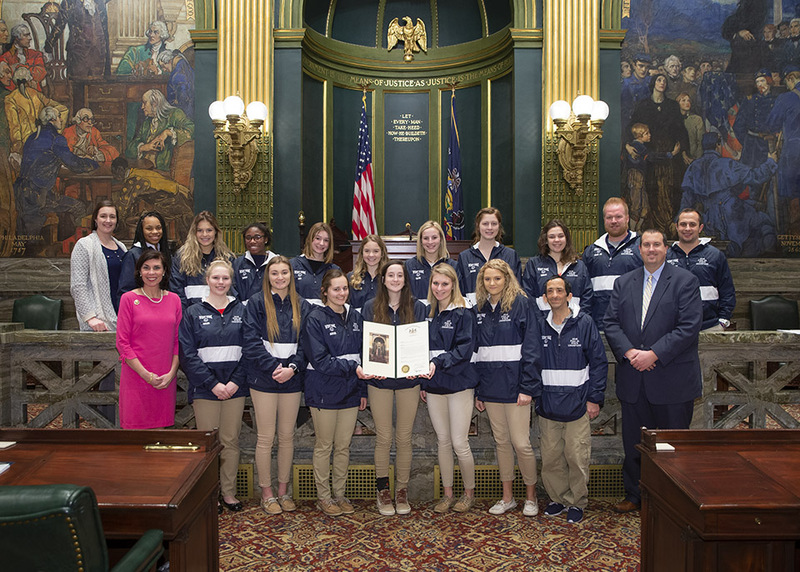 It was an honor to meet the West York Girls’ Volleyball team, who captured the 2018 PIAA Class 3A State Championship in November. This is the first state title in program history for the Bulldogs. The team was introduced during Senate session on Wednesday. Watch my remarks here. Congratulations to Kiersten Bowser, Alayna Harris, Kambrie Hepler, Natalie Hirn, Georgianna Kahley, Gianna Krinock, Daisy Miller, Taylor Morley, Lydia Neuman, Julia Rill, Matie Rupp and Tesia Thomas, Lizzie Wood and Alyssa Zorbaugh! Also, congratulations to coaches Joe Ramp, Gabi Hamilton, Scott Sides, Andrew Sides, and Emily Sides and manager of volleyball operations Spike Bahn. It was an honor to host them with Representative Grove at the state Capitol and in the Senate Chamber. Several student leaders and advisers met with me to discuss how the York County School of Technology is equipping the next generation for successful careers in various professions. 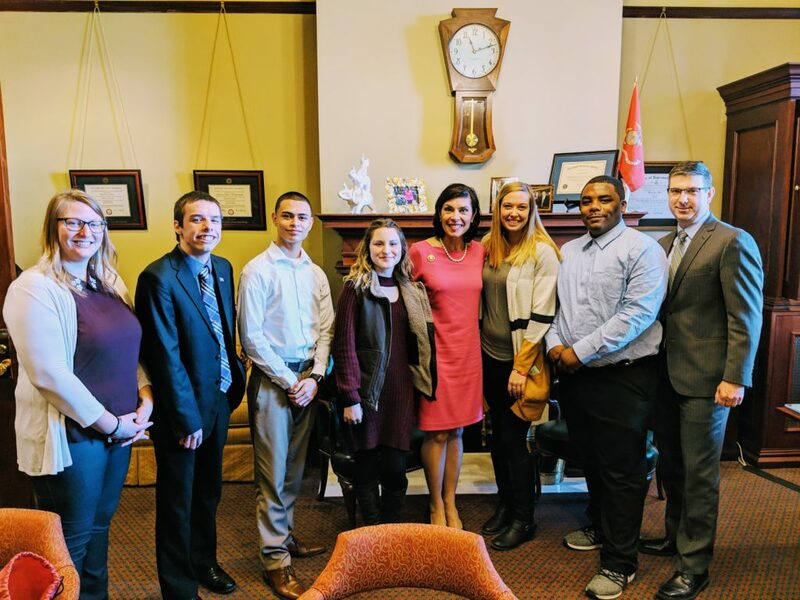 It was an honor to meet with such a bright group of young men and women who are pursuing their passions, and receiving an excellent education at the same time! The student leaders were excellent ambassadors for the school and their peers. I’m proud to support the York County School of Technology and the students it serves! 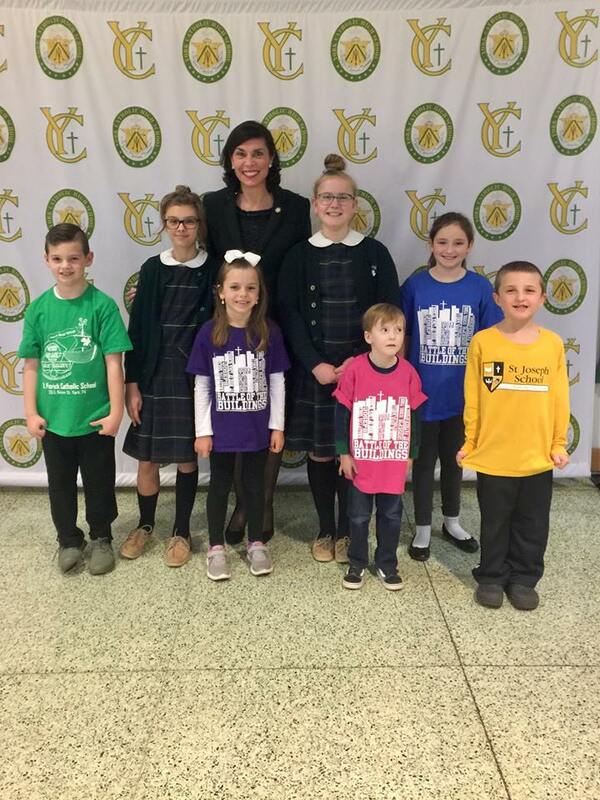 On Saturday, I was blessed to attend Mass at York Catholic High School to celebrate Catholic Schools Week with students, family members, educators, and administrators from the York Deanery Partner Schools. You can read more about Catholic Schools Week here. 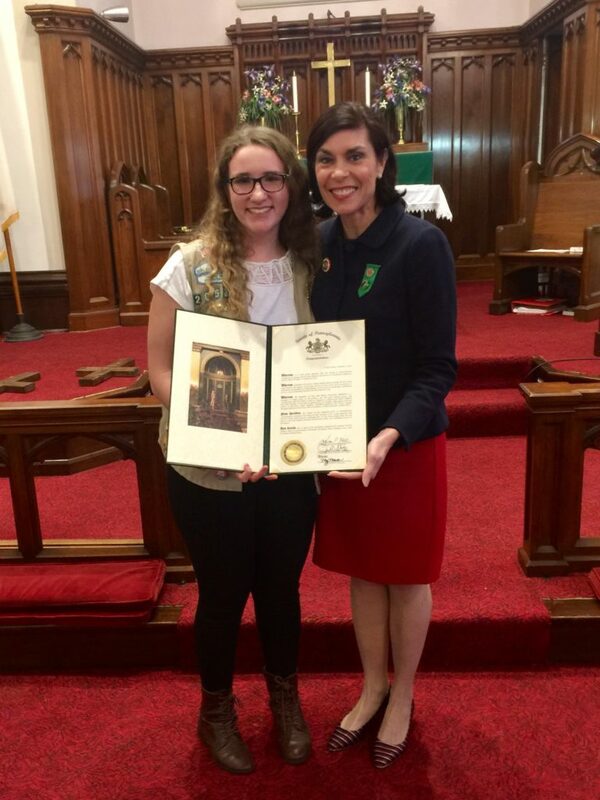 Congratulations to Ellie Stevenson of Girl Scout Troop 20532 in New Freedom on receiving her Gold Award! It was an honor to join her family, friends, fellow girl scouts, and troop leaders to celebrate her significant achievement last weekend! Ellie, the daughter of Dan and Becky Stevenson, worked with PA Child to collect school supplies for foster children in York County and created a fun filled, carnival type event with games to distribute the supplies to the children setting the children up for academic success this school year! Well done, Ellie! 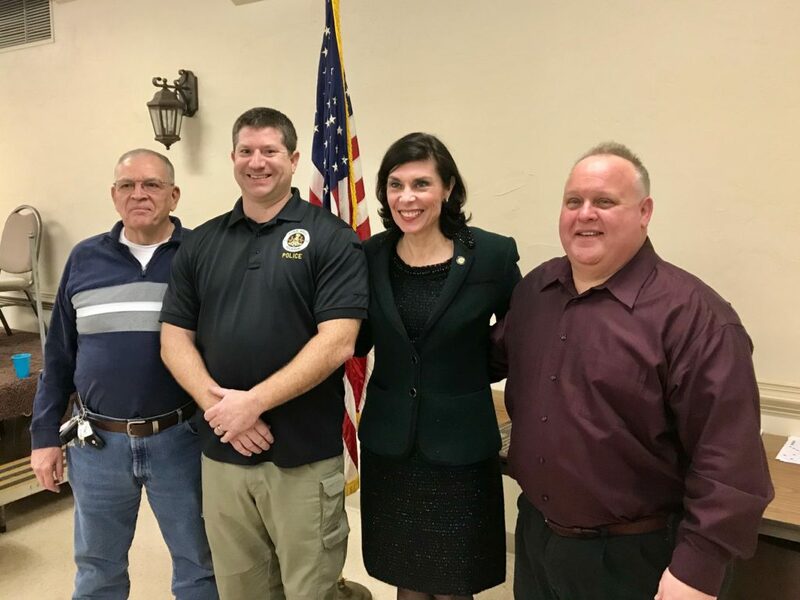 It was a pleasure to attend Dallastown Borough’s Annual Appreciation Pot Luck Dinner last weekend to celebrate the many contributions that residents of the borough make to keep Dallastown a great place to live and work! The Citizen of the Year Award was presented to the York Area Regional Police Department and was accepted by Chief Damon on behalf of the entire Department. Pictured with me are Dallastown Mayor Terry L. Myers, York Area Regional Police Dept. Chief Timothy Damon, and Dallastown Borough Council President Ron Smith. Congratulations to the York Area Regional Police Department and thank you for serving our communities! 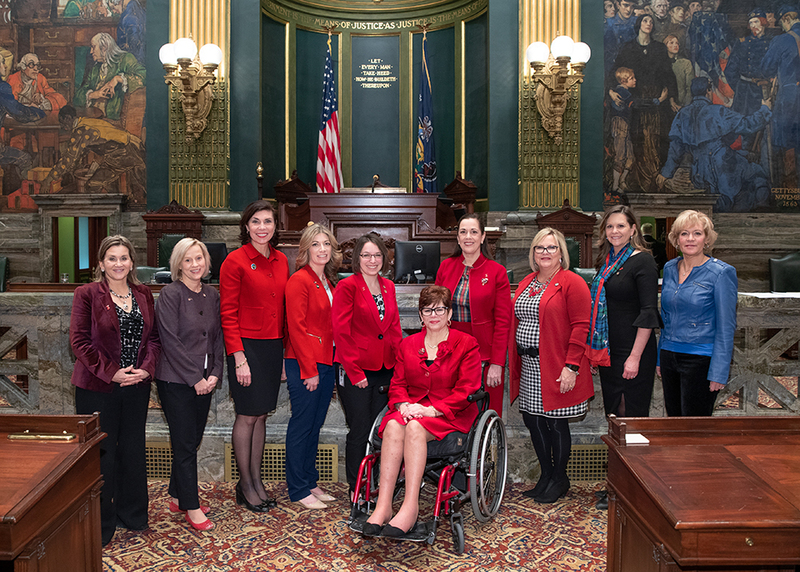 Several of my colleagues in the Senate and I wore red for Women’s Heart Health. Heart disease is the number one cause of death in women. Heart disease and stroke are responsible for a third of all fatalities in women each year. Learn more here.